OUR NEW MARIETTA STORE is HERE! A True Love Story Never Ends . . .
Sweet Hut Kennesaw, our own individual building. As we always say, 'Enough is not enough' and we have taken it to new limits with our new store in Kennesaw on 2795 Chastain Meadow Pkwy, Ste 900, Marietta 30066. You will never not be satisfied with the hundreds of pastries and drink combinations that you can choose from at our store. Combining the selection available at our Doraville store with the sandwich menu available at our Midtown store, our Kennesaw store will have it all! The business hours of this store are from 8AM to 12AM on Sunday-Thursday and 8AM to 1AM on Friday-Saturday. 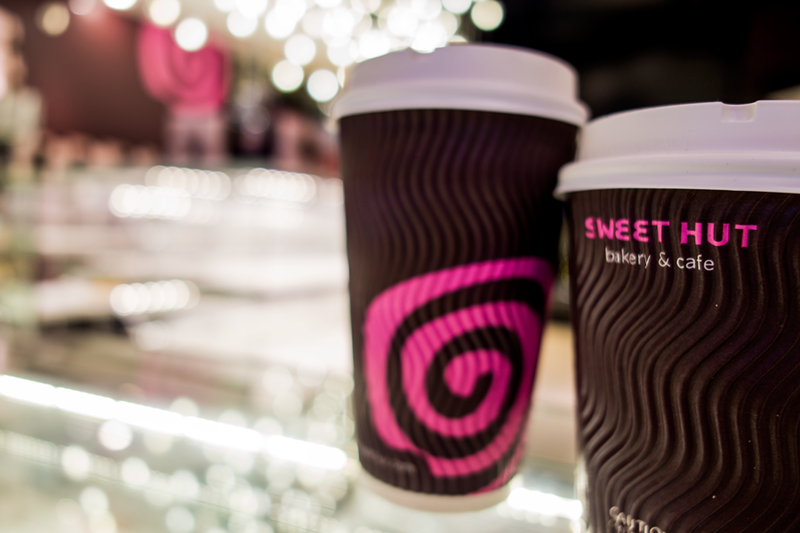 Whether you’re looking for breakfast, lunch, dinner, or dessert, you can make your meal stop memorable when you dine at SWEET HUT Bakery & Cafe with amazing views, unique decor, cozy seats, and free WIFI access. What is Sweet Hut CARD? Sweet Hut Cards are our new way to give you benefits while making it easy to purchase at our locations. Make a purchase and earn reward points at the same time with your Sweet Hut Card. You can manage both your balance and check your reward points online conveniently. Sweet Hut cards also make the perfect gift for your friends and family. Not sure what to get them? Get them a Sweet Hut Card and enroll them in our loyalty program Today! Get 5% back for every dollar you spent! Spend $1, receive 5 points. 100 points = $1 cash value. 1. Get your Sweet Hut Card in store. 2. Provide your email address to your Cashier. 3. Register your Sweet Hut Card HERE: to manage your balance and keep track of your points. 4. Enter your email and click "Forgot Password". 5. Your temporary password will be sent to your email. Sign up to get exclusive offers and news!